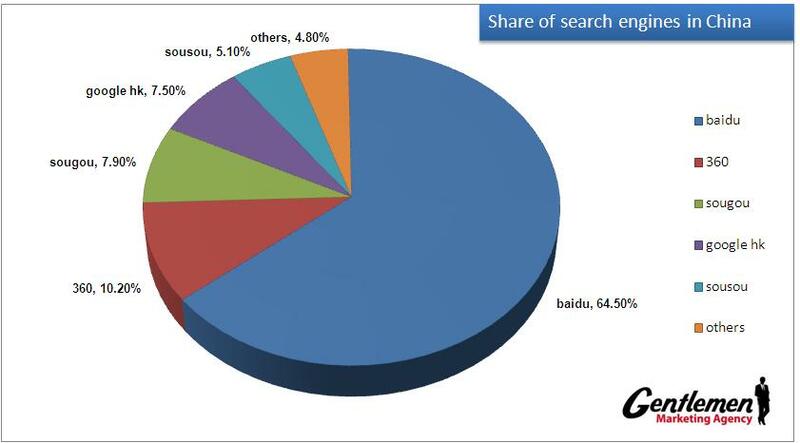 Baidu is the leading search engine in China. It was launched in 2000 and was developed by Robin Li and Eric Xu. Both studied and worked abroad before returning to China. 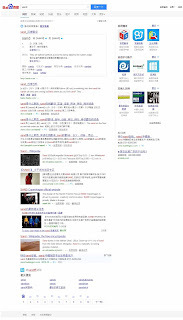 Today, Baidu offers the entire search package: Image, video and news search, they also offer a legal search. Baidu was the first offer for wap- and pda-based mobile search in China. 2000 - [...] Baidu, Inc.
Taipei Times (Sep 17, 2006): »In the summer of 1998 at a picnic in Silicon Valley, Eric Xu, a 34-year-old biochemist, introduced his shy, reserved friend Robin Li to John Wu, then the head of Yahoo's search engine team. Li, 30 at the time, was a frustrated staff engineer at Infoseek, an Internet search engine partly owned by Disney, a company with a fading commitment to Infoseek that did not mesh with Li's ongoing passion for search. Like Disney, Wu and Yahoo were also losing interest in the business prospects of search, and Yahoo eventually outsourced all of its search functions to a little startup named Google. Xu thought the two search guys would hit it off. Wu says he exchanged greetings with Robin Li, but what most impressed him was that despite all of the pessimism surrounding search, Li remained undaunted. In 1996, while at IDD, Li developed the RankDex site-scoring algorithm for search engines results page ranking and received a US patent for the technology. He later used this technology for the Baidu search engine. In 2000, the company Baidu launched in Beijing, China. The first office was located in a hotel room, which was near Peking University from where Robin graduated. 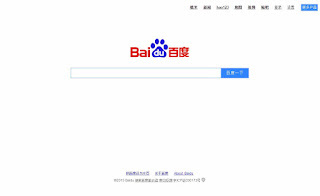 Millward, Steven (Apr 17, 2015): »Chinese tech giant Baidu has shut down the Japanese search engine that it first launched in 2007. The Baidu.jp site, which used to feature a Japanese-language search engine that hoped to rival Google and Yahoo in the country, now just features a mission statement and a bunch of email addresses for its business partners to reach out to. ANTHONY KUHN (May 3, 2016): »Chinese health and Internet authorities have launched an investigation into Baidu, the country's largest search engine, following the death of a college student who accused Baidu of misleading him to a fraudulent cancer treatment. The scandal began with a college student from northwest China's Shaanxi Province. Two years ago, then-sophomore Wei Zexi found out he had a rare form of cancer called synovial sarcoma. After other treatments failed, he turned to Baidu. His search on Baidu suggested a treatment at the Beijing People's Armed Police Corps Hospital No. 2. It claimed to have a highly effective experimental treatment developed in collaboration with Stanford medical school. Wikipedia: »The name Baidu is a quote from the last line of Xin Qiji's classical poem "Green Jade Table in The Lantern Festival" saying: "Having searched thousands of times in the crowd, suddenly turning back, She is there in the dimmest candlelight." The context of the poem is that in ancient China, girls had to stay indoors, and the Lantern Festival was one of the few times they could go outside. In the chaotic sea of lantern lights, they would sneak away to meet their lovers and exchange promises to meet again next year. A summary of the entire poem: Flowers bursting into bloom in the sky, stars falling like rain (fireworks/meteor shower), Whole streets filled with perfume, jeweled horses pulling ornate carriages, fish and dragon lanterns dancing throughout the entire night. A body decorated with golden thread and butterfly trinket, laughter that has a subtle fragrance. Having searched for this person until exhaustion, when suddenly turning back by chance, I find her standing lonely in the far end of the street in the waning light.